This is my fourth World Urban Forum, and, as ever, the exhibition is worth visiting. Most of the booths are taken by national governments, some by cities or local government organisations, a few by research institutes or by campaigning NGOs. Taken as a whole they give a flavour of what are the leading international concerns, but also tell quite a lot about how the challenges of human settlements look when viewed through the lens of a particular country or set of countries. Some countries are notable by their absence, including the UK. Not surprisingly, following the lead set by UN-Habitat, and the theme of the Forum, there is quite a lot about implementing the New Urban Agenda. However, different countries have different takes on this. Some remain locked into a traditional mindset, displaying images of recent house types courtesy of their Construction Ministry. Others assert their commitment to sustainable development in a promotional sort of way. However, after a totally unscientific sample stroll around the stands this afternoon, I was struck by the strong emphasis on smart cities amongst leading Asian countries. As host nation, Malaysia is understandably prominent in the number and scale of the exhibits it is contributing. A good example is Iskandar, "The Smart Metropolis of Asia", a city of 1.6 million that expects to grow to 3 million by 2025 - almost doubling its population in less than a decade.Six "Smart dimensions...create a foundational lattice upon which we are building the city of our dreams." While that bit may have been written by an advertising agency, what is clear here, as across many of the expanding Asian economies, is that this is planned growth, integrated from national to local level and led by big investment in infrastructure. I have written before about India's Smart Cities Programme. Not surprisingly, it features prominently on India's large display. It is now a "mission" running 2015-2019 and covering 90 cities and 2,691 projects. 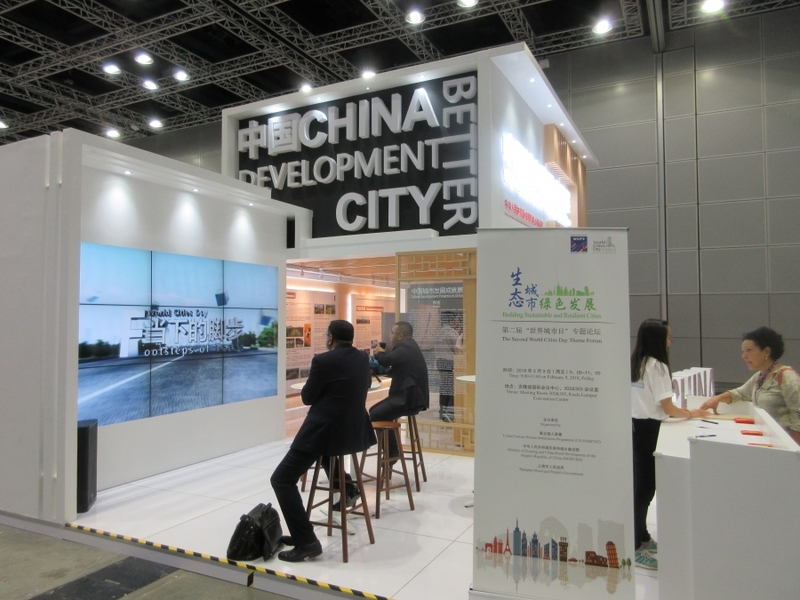 South Korea's stand also has a strong "smart cities" theme. Sejong, for example, is to become a "leading smart city" by 2023, with a range of inteventions covering transport, parking, energy and public safety. There may be situations where the rhetoric runs ahead of the action, or where the precise alignment of the smart city technologies with the equity-based goals of the New Urban Agenda can be questioned. However, the scale and pace of the urban transformation in Asia means that you underestimate these countries at your peril. The future is being made real in places in this part of the world.